So the gun may have been jumped. It appears that the new "black box" theater in the Vest Building isn't a black box at all. 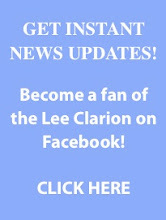 At least that's what Lee's theater faculty report. A black box, they state, contains seating that can be moved and arranged in any fashion to fit the show. The new theater, however, has stationary seating. 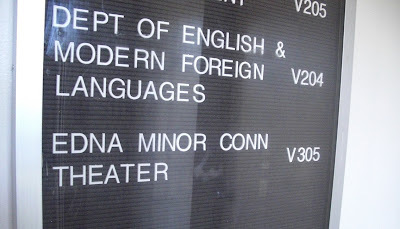 In addition, the Edna Minor Conn Lecture Hall wasn't converted into the Edna Minor Conn Theater. Dr. Mark Burnette, assistant professor of drama, said that the theater faculty decided to rename it the "Vest Theater." Apparently, the EMC title will be reserved for a room in the new science and mathematics building currently under construction. Speaking of name changes, the chalkboard on the set of the Vest Theater's first production (My Children, My Africa), alludes to quite a different show than the one advertised. On ice? 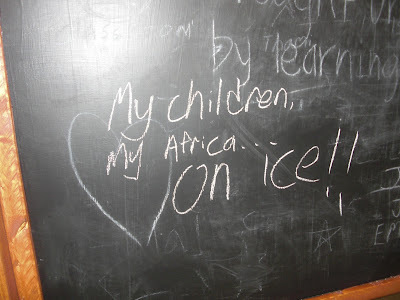 Children and Africa on ice? Who could miss that? ?